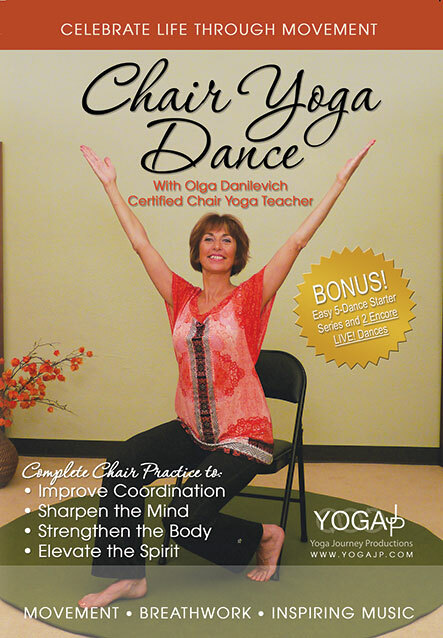 Our Chair Yoga Dance DVD is ideal for beginners, seniors, individuals in rehabilitation & everyone who Loves to Dance! 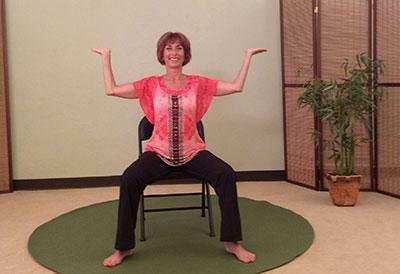 Featuring Certified Yoga Teacher Olga Danilevich, the video will guide you through 50 minutes of seated Chair Yoga followed by a relaxing guided meditation. Your yoga session is accompanied by the inspiring music of David Newman, Linda Worster, Kevin MacLeod and others. Focuses on gentle breathing practices that open the body, strengthen the respiratory system, and increases breath awareness. 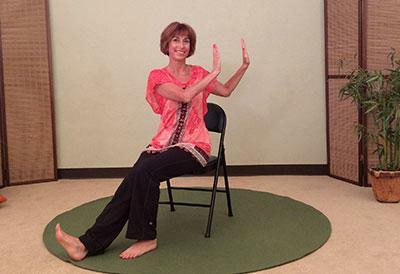 A deeply soothing, rhythmic, and relaxing sequence that integrates breath and movement, restores full diaphragmatic breathing, and gives you a feeling of well-being and vitality. Increases blood circulation, getting the muscles loose, active, warm, and ready for action. Dynamic rhythmic sequences with elevating music for relieving tension and stress, increasing focus, and improving cardiovascular fitness, endurance, neural function and coordination. 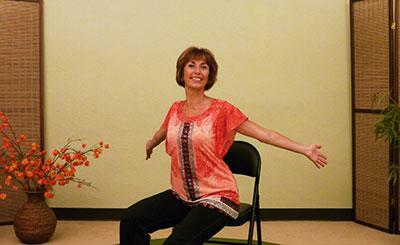 Improves joint flexibility and range of motion, inducing a sense of confidence and strength without fatigue. Increases energy and endurance, self-confidence, agility, balance and coordination. Encore LIVE! 2 Popular Dances LIVE with seniors! Join in the vibrant energy of a roomful of seniors at the Yoga Vista Studio in Vista, California as they sway, laugh, sing and dance along to two of Olga’s most popular Chair Yoga Dances! 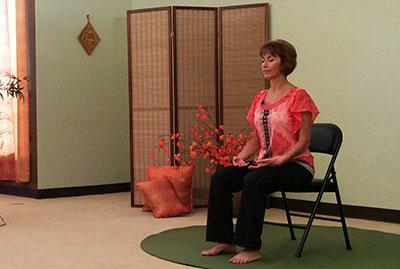 Narrated Meditation by Olga Danilevich featuring Scenic Photography by Sherry Zak Morris.